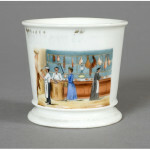 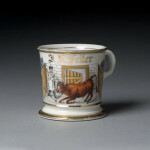 Butcher’s Occupational Shaving Mug, porcelain with polychrome painted scene inside slaughter house, with butcher readying for the final axe-blow to a cow. 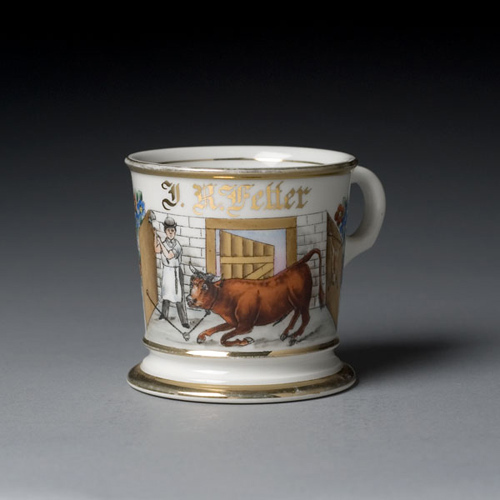 Gilt name J.R. Fetter. 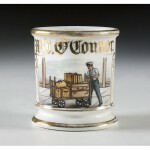 Marked T & V Limoges, France, as well as P. Eisemann in gilt.